March is upon us and you know what that means? Women’s History Month, of course! All too often women are the unsung heroes in many aspects of life, especially during major, life altering conflicts. World War II put women in a position to be reckoned with, as far as society was concerned. Women stepped up to the challenge when their boys went off to fight in a foreign land. They took charge of their circumstances at home and realized without their hard work ethic, the success of the war would have taken a very different turn. This was not only true for American women, but all women in war torn countries. Through the next several weeks, I would like to spotlight some brave women who put their lives on the line for their country and the war effort. Reba Z. Whittle, born August 19, 1919, Texas, was the first and only American military female prisoner of war in the European Theater during World War II. 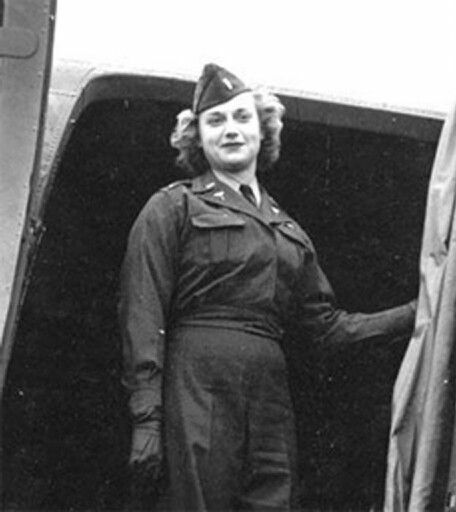 First Lieutenant Whittle was serving in the United States Army Nurse Corps when her casualty evacuation aircraft was shot down over enemy territory, September 1944. Whittle had aspirations for nursing before the war broke out in Europe. She attended North Texas State College, and then continued on to the Medical and Surgical Memorial Hospital School of Nursing in San Antonio, Texas. Soon after graduating, Whittle enlisted into the Army Nurse Corps in 1941. Due to her higher education, Reba entered the military as a Second Lieutenant and was stationed in Sacramento, California. By August, 1943, Whittle joined the Army Air Forces School of Air Evacuation to train as a flight nurse; an occupation that had never been used in warfare before and was highly dangerous. The nurses were trained in trauma situations, including severe pain, substantial blood loss, and shock, when a trained physician was absent. On January 22, 1944, Reba and twenty-five other nurses crossed the Atlantic on the RMS Queen Mary, bound for England. Just eight months later, Reba logged over 500 hours of flight time, with at least 40 missions under her belt. Reba had made it through so much already, but on her last mission, on September 27, 1944; she would experience one of the most traumatic incidents of her life. On a mission to St. Trond, Belgium, to collect causalities, her C-47 was hit by German flak and crashed 70 km from where the crew should have been. Since those planes typically carried more than casualties of war, the aircrafts were not marked with a red cross which would have allowed them to fly ‘safely’. When they crashed landed, Reba sustained a concussion and lacerations to her face and back, while the rest of the crew either perished or were badly wounded. As soon as they crawled out from the wreckage the Germans were upon them and the now prisoners of war were taken to a nearby village for medical treatment. The German soldiers and doctors were unsure how to handle having a woman prisoner such as Reba because that situation had never occurred beforehand. After the crew had been properly treated for their injuries, they were sent to Auswertestelle West (Evaluation Office West) where Whittle was permanently separated from her crew. Throughout her imprisonment, Reba was sent to one POW hospital after another to help treat other POW patients. A month after the crash, a representative of the International Committee of the Red Cross saw her and immediately notified the State Department, who then began immediate work for her release. 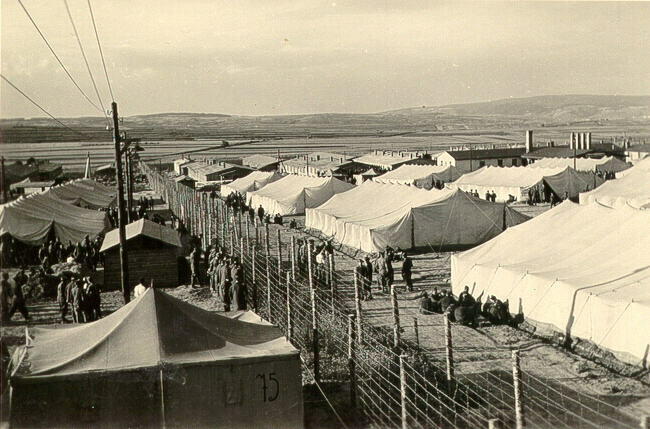 Whittle was repatriated on January 25, 1945, leaving Stalag IX-C for good. She, and other POW patients, were sent by train to Switzerland, and then transported back to the United States. On February 7, 1945, she received the Purple Heart for her injuries during the plane crash and then awarded the Air Medal ten days later. After twenty-one days of convalescent leave, Reba returned to duty, stationed in Miami Beach, Florida. She would never be able to fly in air missions again due to recurring headaches caused by her concussion. She spent the rest of her active duty assignment as a ward nurse for the AAF Regional and Air Debarkation Hospital. A few months later she applied for release from active duty because of her medical issues but was denied compensation and was discharged by the army in January 1946. Whittle continued to suffer with chronic pain and a slew of other medical issues as a result of her crash. She applied for disability compensations but was denied numerous times. Not until 1954 did the Army Physical Disability Appeal Board grant her disability benefits, but only from the time she applied in 1952. She was given about $4,800 of retroactive pay. If she was given retroactive pay when she was initially discharged in 1946, she would have received $13,800. Reba made the decision to continue on with her life and not prolong a seemingly uphill clash with the Army. She and her husband, Colonel Tobiason had two sons, one of whom served in the Vietnam War as a naval aviator. In 1981, Reba passed away after losing her battle with cancer. In 1983, her husband petitioned for his wife to finally have the POW recognition she deserved when the Department of the Army was honoring Army and Navy nurses who were captured and imprisoned by the Japanese. Reba Whittle was at last given official POW status she deserved on September 2, 1983. Hi I was wondering if you had any more information or sources/links on Reba Whittle (I’m doing a research project on her). Thanks.